In this month’s Labnext newsletter, we’re going to review functionality that is tied to the patient name. 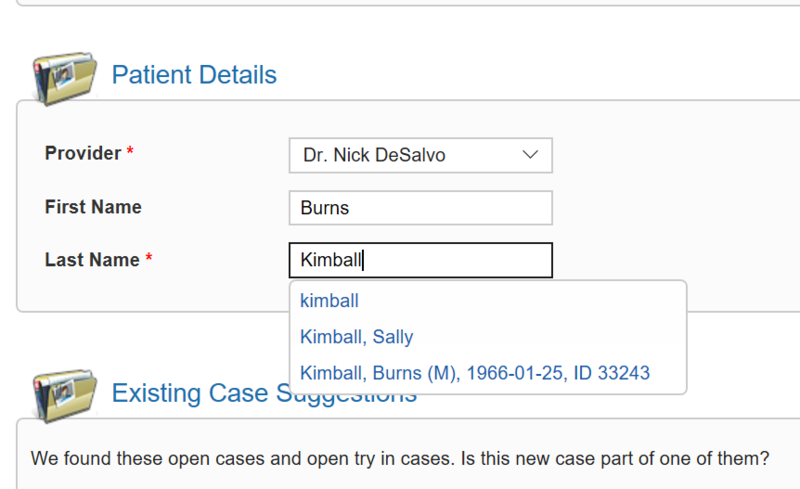 As you enter the patient name during case creation, Labnext will automatically display a list of existing patients with similar names. If the current case is for a suggested existing patient, simply click on the appropriate name to complete the data entry of the patient details. This feature reduces data entry and improves data accuracy. If there is a case in the lab for a patient with a name similar to the one being entered, Labnext will automatically display those case details – patient name, case status, case number and case procedure. Click on the case number of the appropriate displayed case to go to that case. This feature reduces the likelihood of entering duplicate cases. Perhaps the initial case was automatically created via our TRIOS integration and the doctor also submitted the standard RX. Or, the new case is the continuation of a case that was simply out for try-in. Global search supports many ways to find a case in addition to using the patient name. 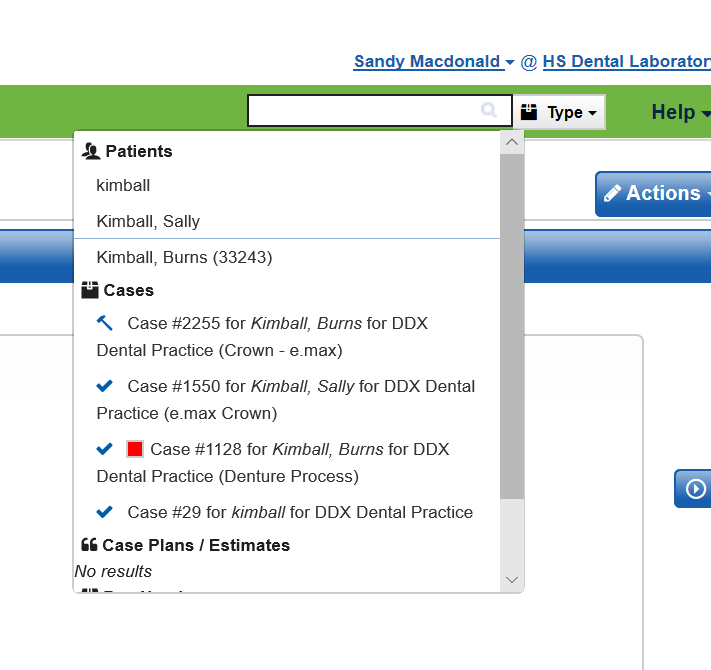 Patient case history is automatically displayed on the Labnext case. Beside the patient name will be a count of the number of other cases in Labnext for this patient. To view historical cases simply click on the patient name. If multiple cases exist in Labnext for the same patient, but the name is spelled differently on the cases (Sue Smith and Susan Smith), Labnext will not link these cases together in patient history. To rectify, go to the case with the misspelled name; click on the change patient icon to the right of the patient name; and update the patient record. Labnext requires that patient details match before cases are associated. This insures record accuracy and reduces the chances of violating HIPAA by improperly disclosing treatment details. Labnext shipping labels have recently been updated so that patient initials can be included. While we’ve had several requests to include the full patient name, Henry Schein legal advises that doing so would represent PHI exposure. Protection of PHI is important in our increasingly digital industry. 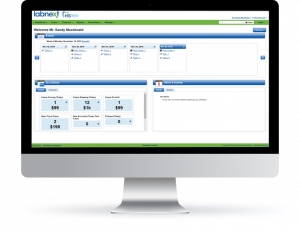 Labnext functionality is designed to display patient details in many useful ways. Yet, case alerts, shipping labels, etc. are designed to not include PHI to help you run a HIPAA-compliant operation. This is a balance between functionality and security / privacy that we are constantly juggling. Learn more about these features or other functionality from the Labnext Manual. Copyright © 2019 Labnet Dental Lab Systems. All Rights Reserved.